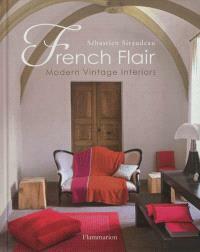 Présentation en anglais This essential 700-page resource is a wellspring of ideas for incorporating vintage French flair into the modern home. Organized into seven styles, it reveals how a diverse range of interiors can be achieved by adding the simplest of decorative touches or by juxtaposing unexpected combinations to create a unique living space - from traditional to contemporary, from natural to romantic, or from eclectic to elegant. Photographer and author Sébastien Siraudeau takes the reader on a journey throughout France to discover over one hundred remarkable locations, including idyllic farmhouses, exquisite manors, and charming antique shops, each one abound with French panache and steeped in inspiration for the home.